We came across what seemed to be a small shrine in a formation that had appeared late in the season. 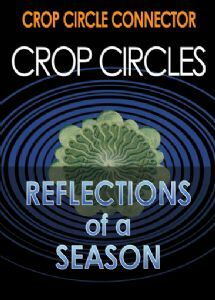 This inspired Stuart Dike to take this opportunity to reflect on the whole crop circle phenomenon in which he has been closely involved over many years. He focuses on the 2009 season as it turned out to be one of the most active to date. An abundance of formations had appeared across the Southern English countryside. Many seemed to hold mysterious messages and meanings within their designs. Our latest DVD is a wonderful and thoughtful insight into this amazing annual phenomenon. Written by Stuart Dike. The script editor is Beverley Gibsone. Mark Fussell, Webmaster of Crop Circle Connector, coordinated and co-produced this complex project. There is wonderful aerial camerawork by Julian Gibsone and superb pole ground shots by Stuart Dike. This is the latest DVD in our series of annual productions to be edited and directed by Julian Gibsone who has also written, shot, edited and directed 'Crop Circles - The Ultimate Undercover Investigation' which is distributed by Crop Circle Connector. 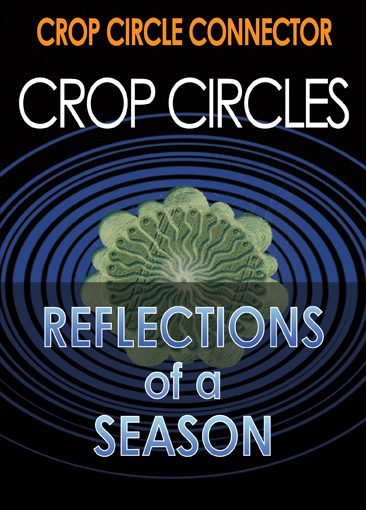 This DVD incorporates the wonder of geometry with the amazing imagery of the crop circles within their landscape. The power and presence of these incredible events can not be underestimated, as we provide our own vision of this phenomenon. Our 8th production on this ever expanding phenomenon, will complement the DVDs from previous years, as we delve deeper into the mysteries of their meaning, and their placement within the landscape. ‘This is a special 18 minute feature, where we interview and explore the thoughts and views of just a few of the many overseas visitors who come to see and experience the crop circles in England. "Congratulations on a great video project. I wish that this kind of narrative recollection was available for years past. It was so helpful to see the juxtaposition of agriglyphs in the course of one season. The scripted commentary was terrific in highlighting the essential features of the patterns. The video yearbook format of your film is just perfect and so helpful for research. Thank you so much for making it possible to share the wonder from so far away. Bravo"